Do you love the look of rustic furniture? I do too! There are a few different ways to get cheap rustic furniture. 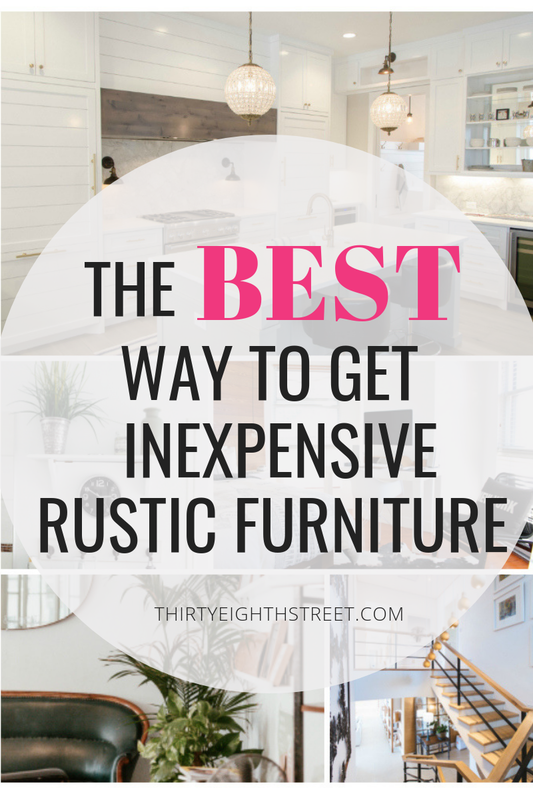 In this post, I'll share a few different options for getting inexpensive rustic furniture so you can turn your home or vacation home into the charming rustic space you've been dreaming of! With these tips and tricks, you won't need a huge budget or a professional interior decorator to get the rustic chic style you want! 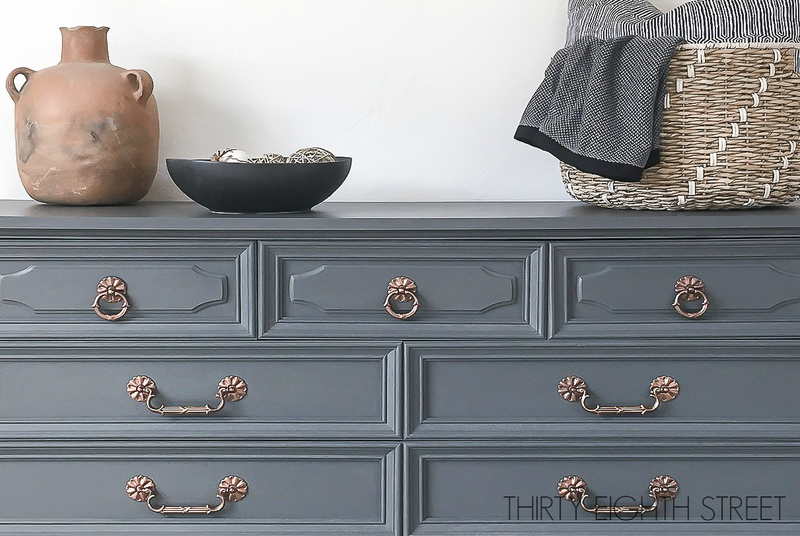 This Wet Distress Painted Furniture Technique Is So Easy! This wet distress painted furniture technique is FABULOUS! Distressing furniture with this method leaves your painted and distressed furniture looking authentically worn BUT without the messy clean up! 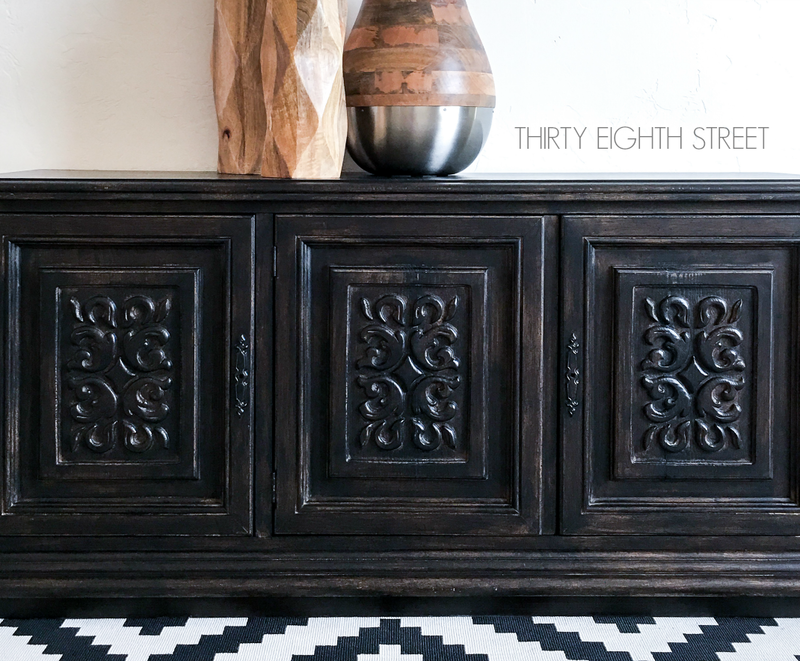 One of my favorite things about this no-mess distressing furniture method is that it allows you to conveniently paint and distress your furniture while you're in the comfort of your home! The beauty of this no-mess distressing furniture technique is that it doesn't use an ounce of sandpaper! Which means we get all the benefits of a beautifully worn finish without any of the gritty sandpaper/paint residue! - And, there's nothing to sweep or dust or vacuum up afterwards!! 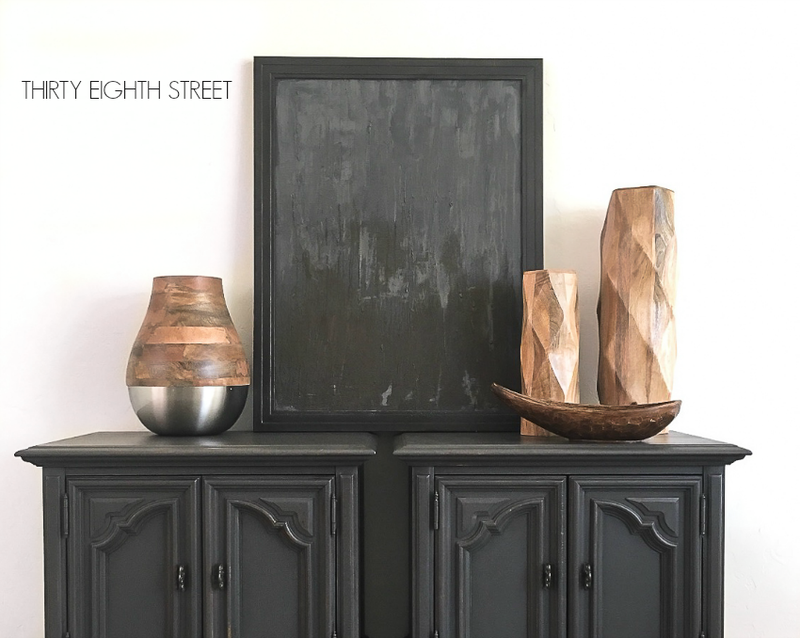 If you are a lazy DIY-er like me then you're going to enjoy this furniture distressing tutorial! 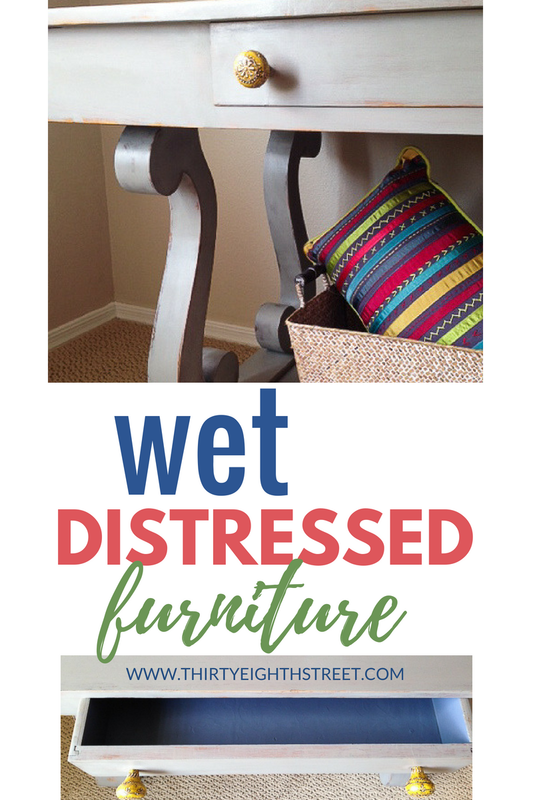 The distressing marks you'll get when you wet distress look so much better than when you use sandpaper to distress your furniture. ;) Wet distressing really does give you the BEST distressed look for your antique furniture. Do you love the rustic farmhouse look? We're sharing our top 3 tips for creating rustic furniture so you can get your own farmhouse style without breaking the bank! I think you'll probably agree. Joanna Gaines has made rustic furniture and farmhouse home decor look BOTH comfy and elegant. Man can she stage the patooties out of a house! 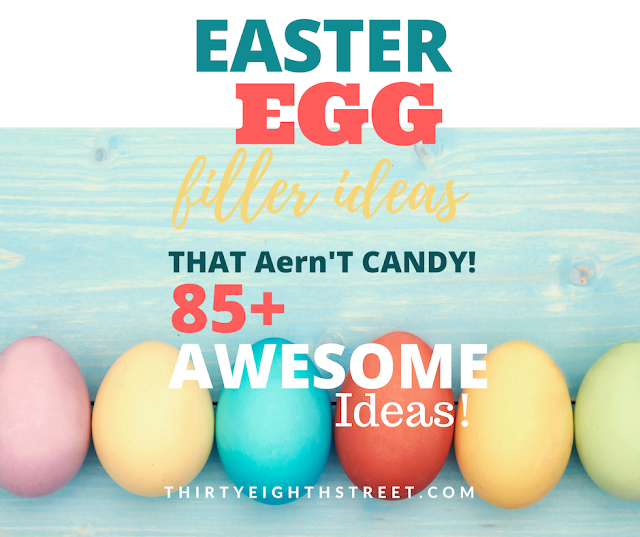 Sometimes, it's not easy to replicate a trend, but over the last few years I've seen thousands of people successfully DIY-ing their homes to incorporate that farmhouse style. Shiplap walls, Boxwood wreaths, Barn doors, Reclaimed wood signs ...the list of DIY rustic touches goes on and on. 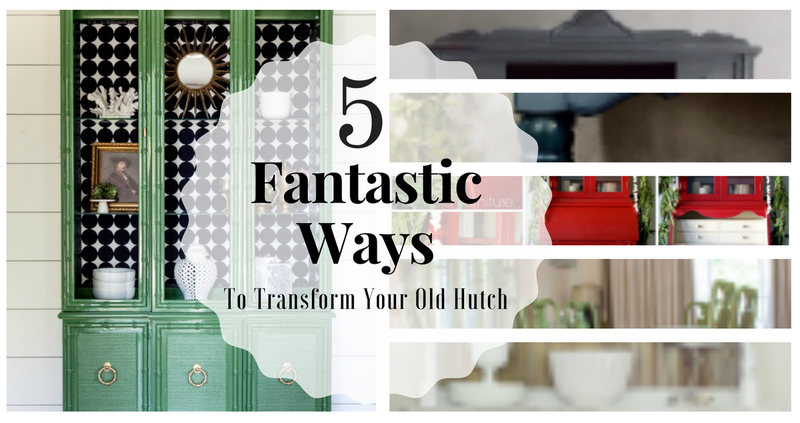 If you're still a big fan of the rustic farmhouse look, I'm going to show you some inexpensive DIY furniture options that blends both rustic charm with farmhouse style. 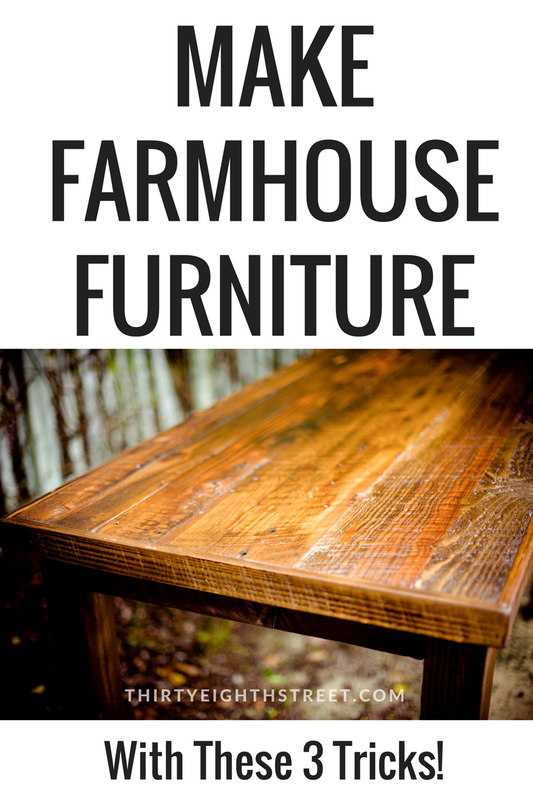 These inexpensive tips and tricks can help you turn regular old furniture into rustic farmhouse furniture. Expensive furniture stores, eat your heart out! 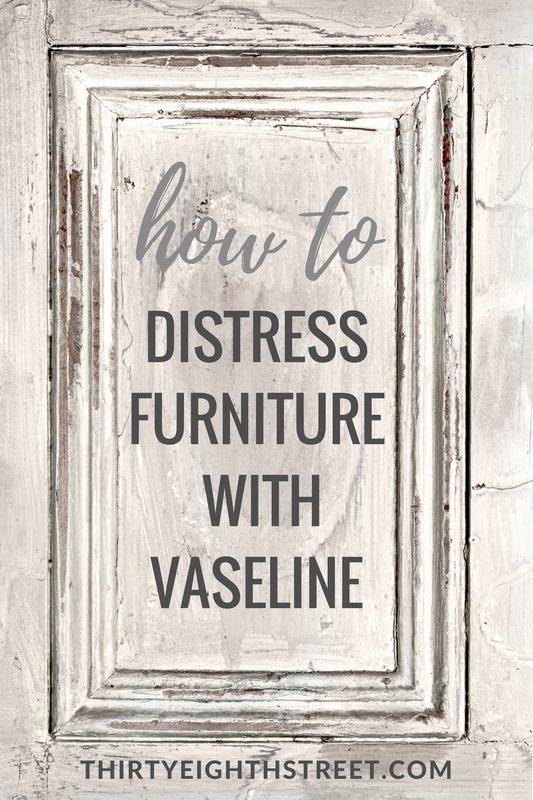 Learn how to distress furniture with Vaseline. This no mess distressing furniture option leaves your furniture perfectly chippy and aged. See all 7 of our Distressed Furniture Techniques and determine which distressing method will work best for you! Here's an easy furniture makeover that you can do in a weekend! Learn how to turn your old furniture into swoon-worthy statement pieces and get some wonderful furniture makeover ideas along the way! Thrift stores and garage sales offer amazing budget-friendly deals on second hand furniture, but often times the used furniture pieces need a compelling DIY furniture renovation before you'd ever consider bringing them into your home. Painting your furniture is easier than you think! 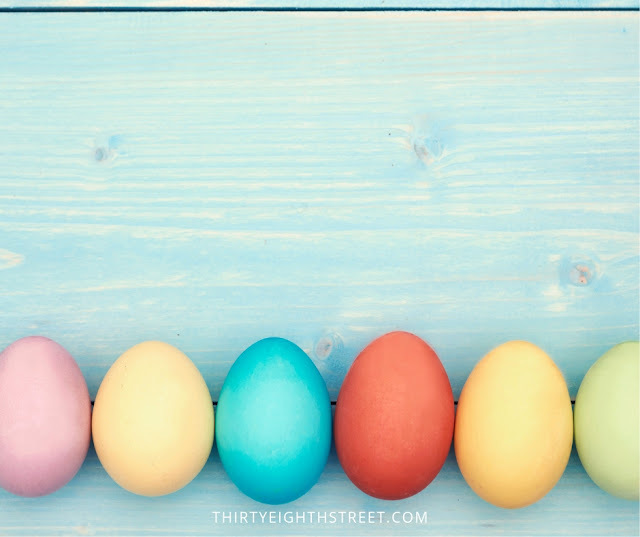 So if you're looking to decorate your home on a budget, refinishing used furniture is a thrifty and inexpensive way to go! Some furniture makeovers can take longer than others depending on the size and scope of the makeover. 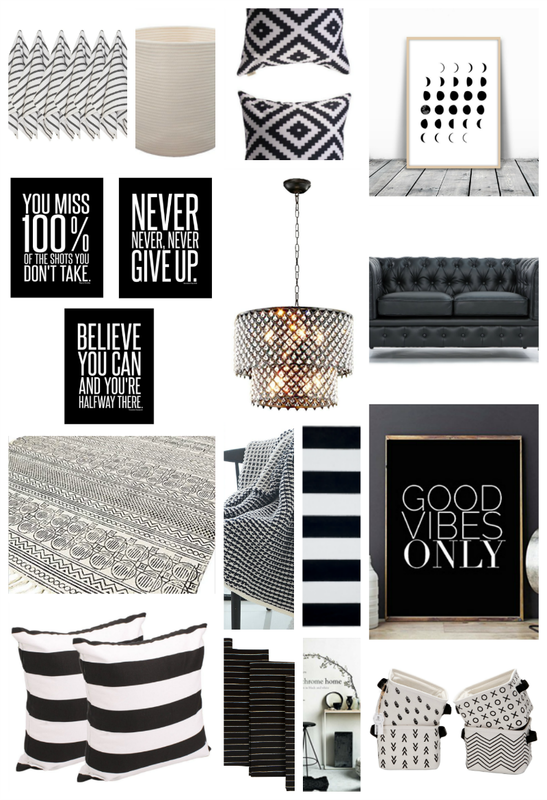 But today, I want to show you an easy furniture makeover that you can complete in a weekend!